Visitors are encouraged and are welcome to play at Woodlands. Guests upon written application to the General Manager, specifying club membership and golf handicap, have the opportunity to play at Woodlands Golf Club. Guests accompanied by a member (not more than 3 at any time) are able to play at a green fee of $80 inc GST plus competition fee (as applicable) on no more than 6 times per financial year. Guests shall not play on Wednesdays (Women Members Day) during the period 1 March to 30 November, except when invited by the Womens Council. 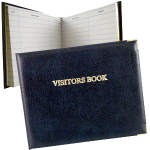 Thursdays – only ONE visitor is permitted. During non-daylight saving time no visitors are permitted on Thursday afternoons, except with permission of the President, Captain or General Manager. Members may introduce ONE guest on a Saturday subject to times being available. Bookings can not be made prior to 48 hours. Full time students (upon suitable proof, ie student card) may play during their vacations, outside competitions times without payment of green fees, if in the company of their parent or grandparent, who must be a member of the Club. Full time students 25 years and under (upon suitable proof, ie student card) may play at a discounted green fee equal to half the normal Member introduced guest rate. Members are reminded that it is a condition of the Liquor Licensing Act that all guests to the Club be signed in the Visitors Book by their sponsoring Member. These conditions apply for all visits to the Club whether golf or social.